In addition to the daily program, weekly camp wide activities and special events, such as Banner Day, Foam Parties, Bungee Jump, Playland Olympics, Swim Carnival, Wet & Wild Water Slides, Carnival Day and professional shows are planned to add fun and excitement to the daily routine. All activities are developmentally appropriate for the different ages of our campers. 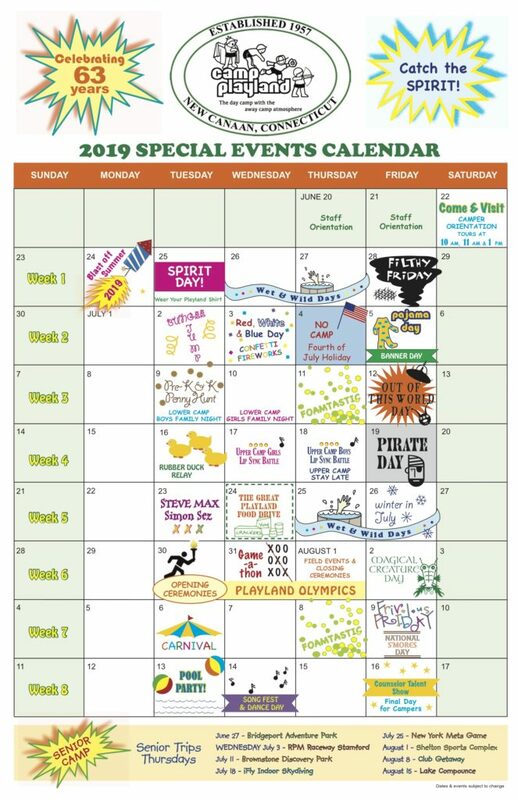 Below is a special events calendar for 2019.